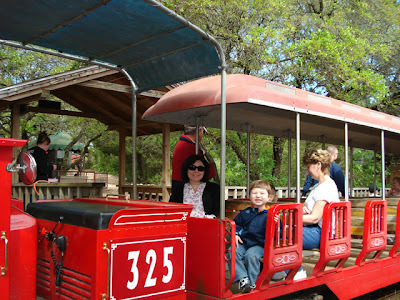 It may not be as glamorous as Paris or as exciting as Israel but Austin, Texas is a great destination. 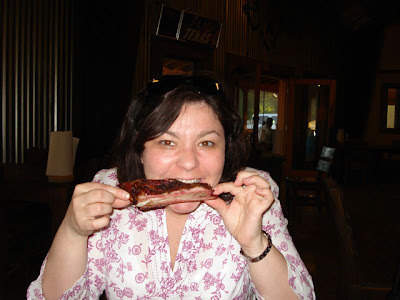 Our main focus during our three days was to visit as many of the legendary Central Texas BBQ restaurants as we could. 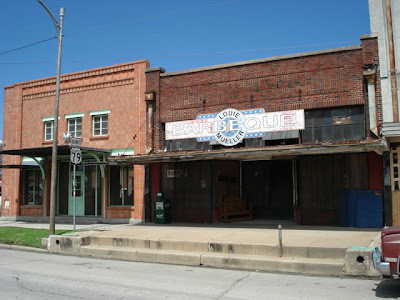 Ask any Texan and they will tell you that these places are "the best in Texas, and therefore the best in the world." We ended up visiting five within a 40 mile radius of the city. Not much had changed much over the past 100 years. 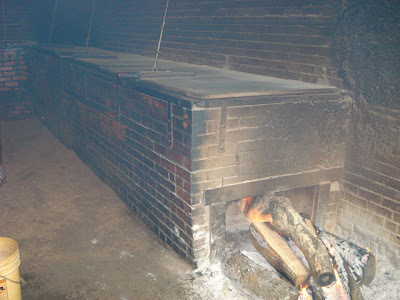 The meats are smoked in long brick pits with the fire literally burning on the floor. The walls and everything else in these sections of the restaurant are covered with decades of smokey buildup. 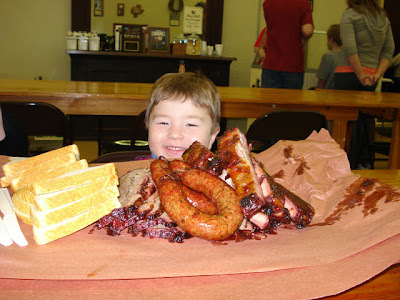 You order your meat by the pound (brisket, sausage, ribs, etc) and it is removed from the pit and sliced up. All sides and drinks are purchased separately. 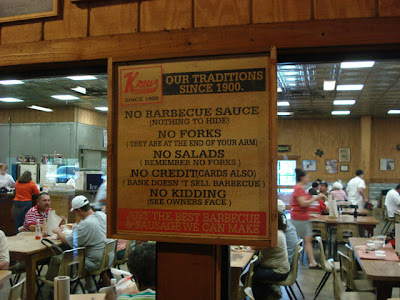 The places that have kept the tradition serve the "Q" the same way, on thick butcher paper without any sauce or utensils. True happiness, unless your a vegetarian. 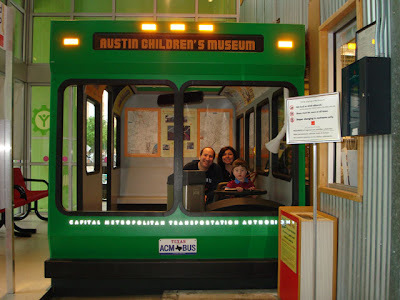 We had to do something between eating so we headed over to the Austin Children's Museum. He wouldn't even let us get a free ride. 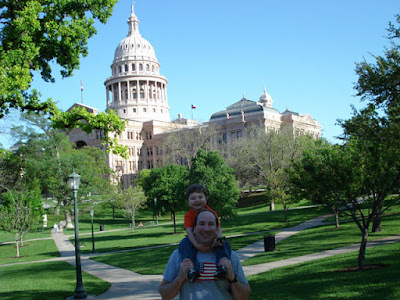 The next day we started out at the Texas State Capitol building which is the largest state capitol in the country. It is even taller than the national capitol in Washington DC. 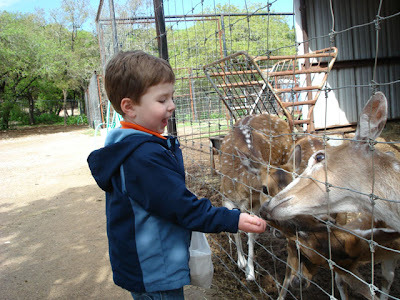 The Austin Zoo was a highlight of Elliot's trip and he was licked by dozens of animals. 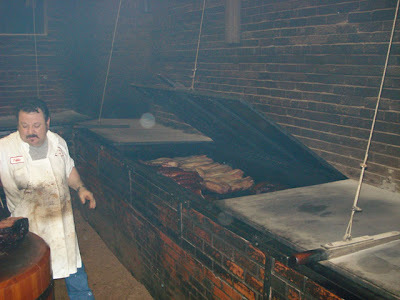 Maybe they could smell the brisket juice on his hands. 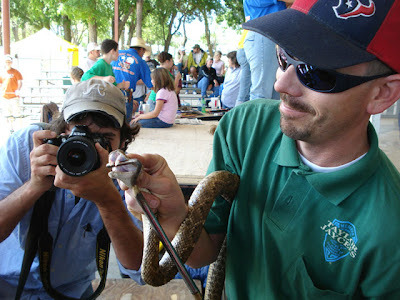 While waiting in line for some brisket, Keith overheard some locals talking about the rattlesnake roundup. After some investigation we learned that we were only a few miles from the 2007 International Rattlesnake Sacking Championship. 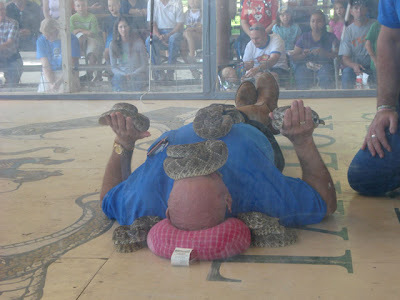 We missed the actual "sacking" but saw some interesting demonstrations and were able to touch the snakes. I'm sure a lot of beer was involved the first time he tried this "stunt." 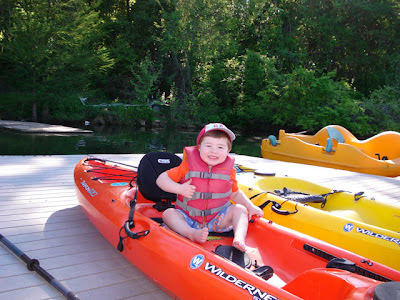 The weather was perfect so we thought we would row away some of the calories. Keith did most of the work, but Elliot got us the wettest. 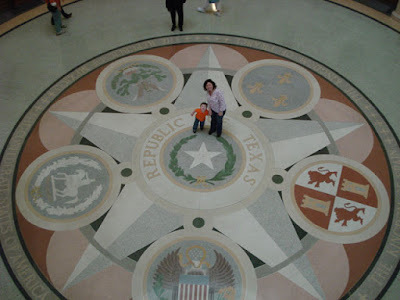 Everything really is bigger in Texas. 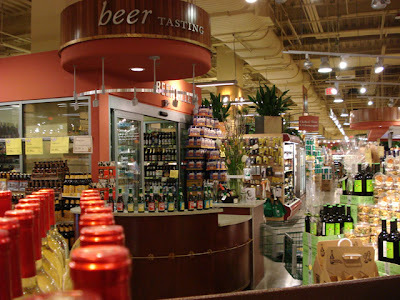 This Whole Foods Market (the HQ) is an entire city block and has a walk through beer cooler, in store fish smoker, nut roasters and more. We are going to put this in the suggestion box at our local store. We didn't have a chance to see any live bands while we were there, but the whole town has a really cool artsy vibe. We will definitely return!